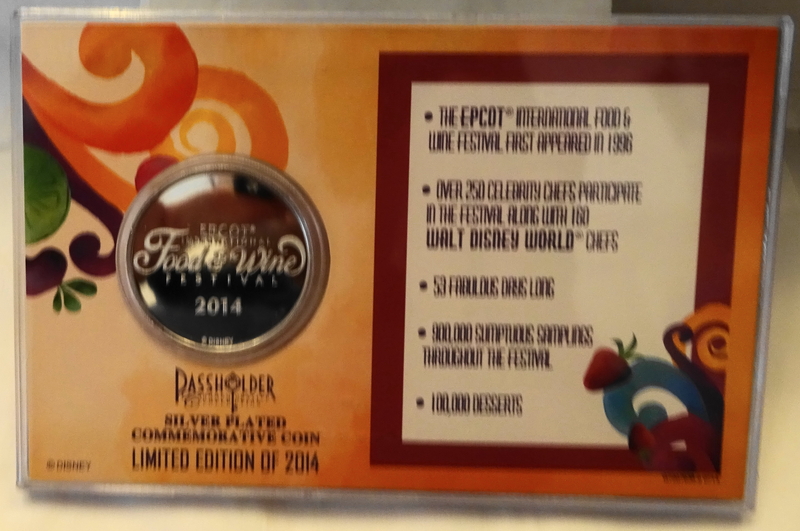 Home / DISNEYANA / DISNEY COINS / Disney Walt Disney World Epcot Food And Wine Festival 2014 Passholder Limited Edition 2014 Silver Plated Commemorative Medallion Coin Enclosed In A Hard Plastic Protective Case New. 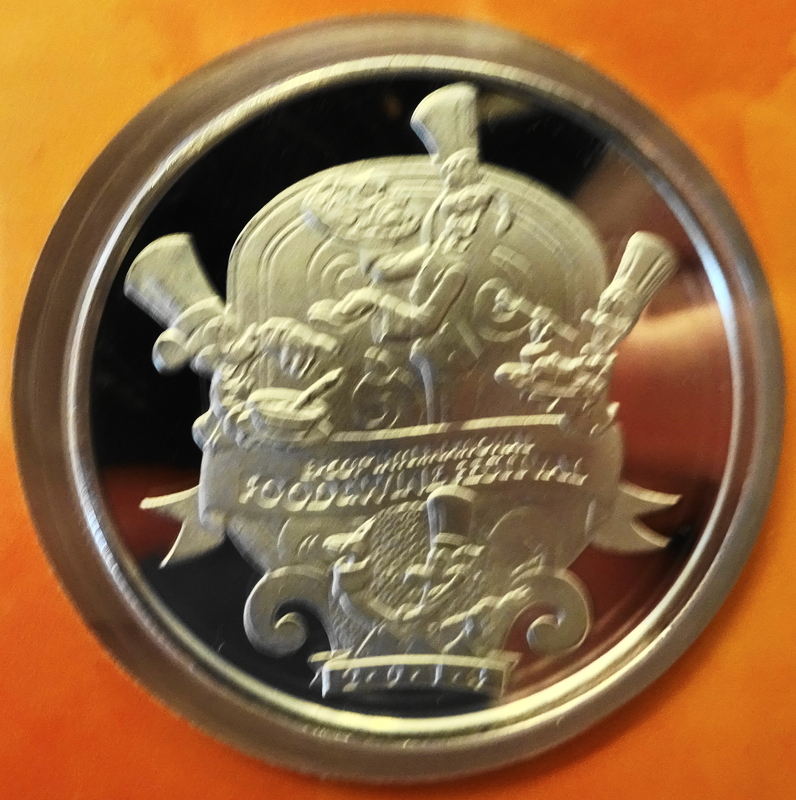 One side of the coin shows Mickey Mouse, Goofy, Donald Duck and Figment. Other side is inscibed “Epcot International Food & Wine Festival 2014”. 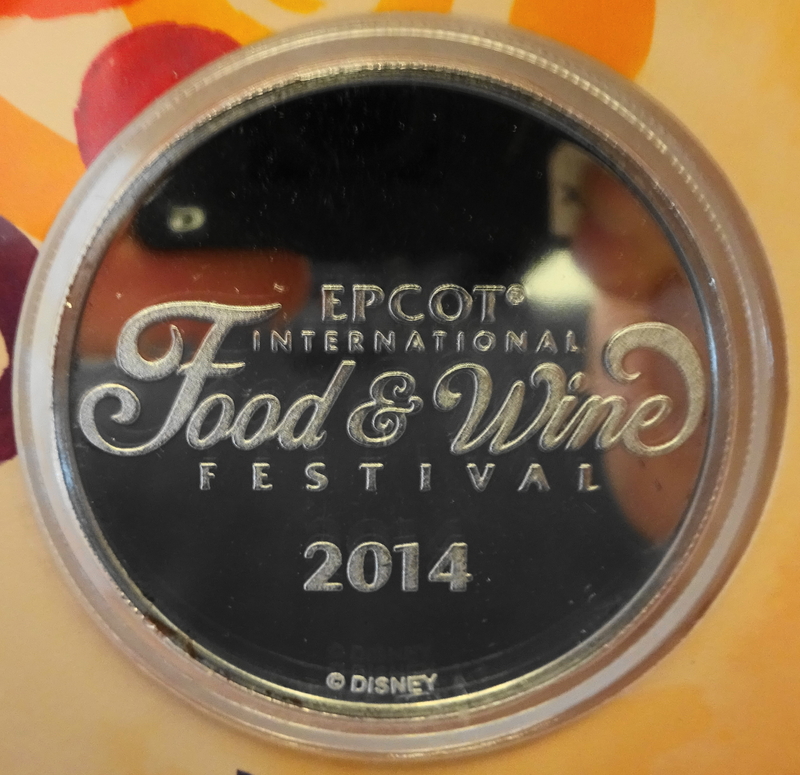 Created especially for Walt Disney World Resort Epcot Food And Wine Festival 2014. 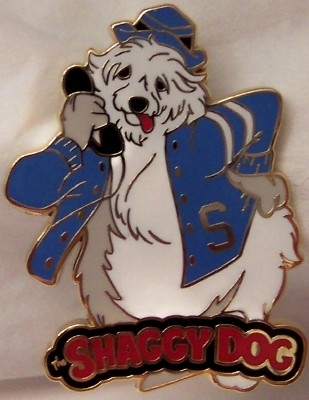 Limited Edition of 2014. Silver plated medallion is about 39 mm in diameter. 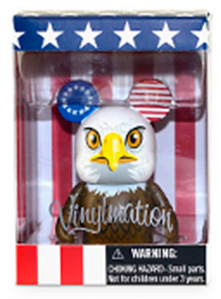 Capsule may not be sealed closed as sold new by Disney so be careful when handling. 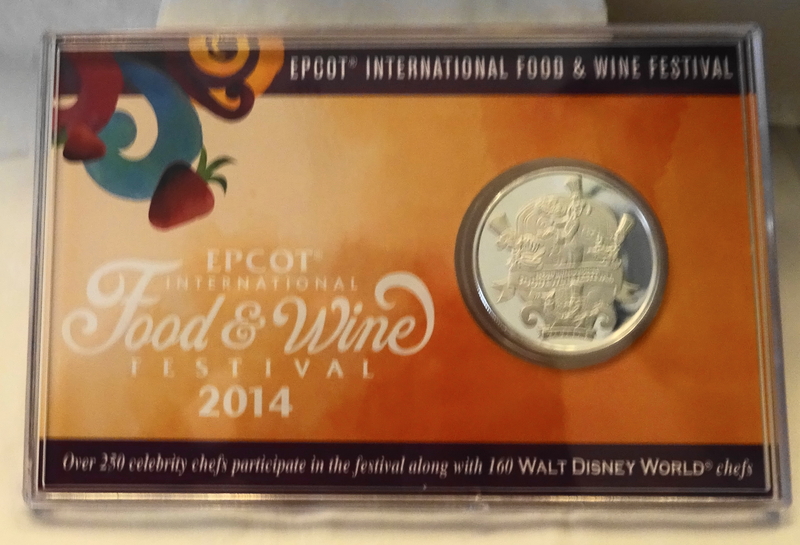 This Disney Epcot Food & Wine Festival Passholder LE 2014 Coin New makes a great collectible Disneyana gift for you or someone you know! 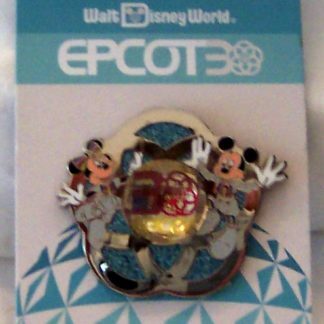 Passholder Limited Edition 2014 Silver Plated Commemorative Medallion Coin Enclosed In A Hard Plastic Protective Case New. Card and coin may have minor imperfections as sold new by Disney. Coin and/or its clear plastic case may have superficial scratches and/or minor wear of finish and/or nicks from stacking during manufacture. This coin is not legal tender. Created especially for Walt Disney World Resort Epcot Food And Wine Festival 2014. Silver plated medallion is about 39 mm in diameter. 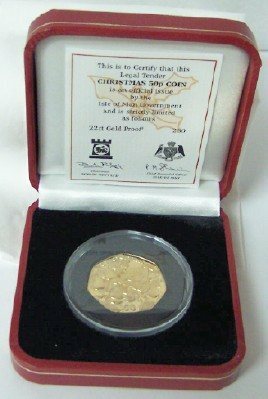 Be among the first to own this highly collectible coin! Please be sure to read this listing carefully, thoroughly, and completely and to ask questions before buying so you are completely satisfied with your purchase. Free shipping to the USA by USPS First Class Mail with delivery confirmation.